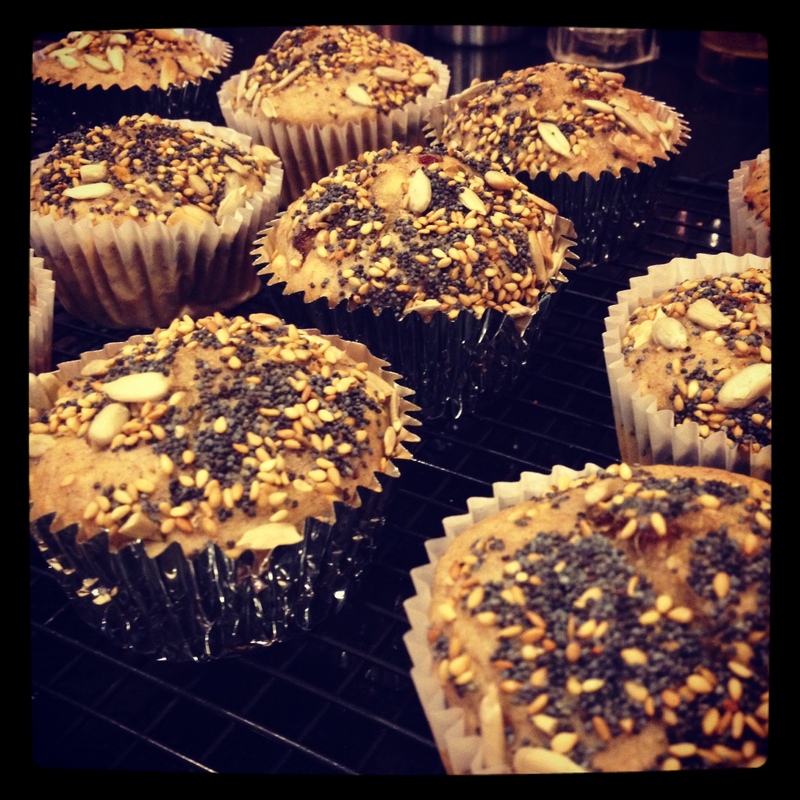 Originally, I wanted to make a super healthy muffin recipe for my Mother’s Day Brunch to balance things out a little…Then a few days later I decided there are plenty of days to be super healthy, but on Mother’s Day you and your mom should be able to splurge a little. So I was left with lots of bananas ripening and a new recipe to find. I was thinking Chocolate Banana Muffins, something super decadent…Then I realized we had a bunch of dates laying around…and my mom loves dates! Perfect! 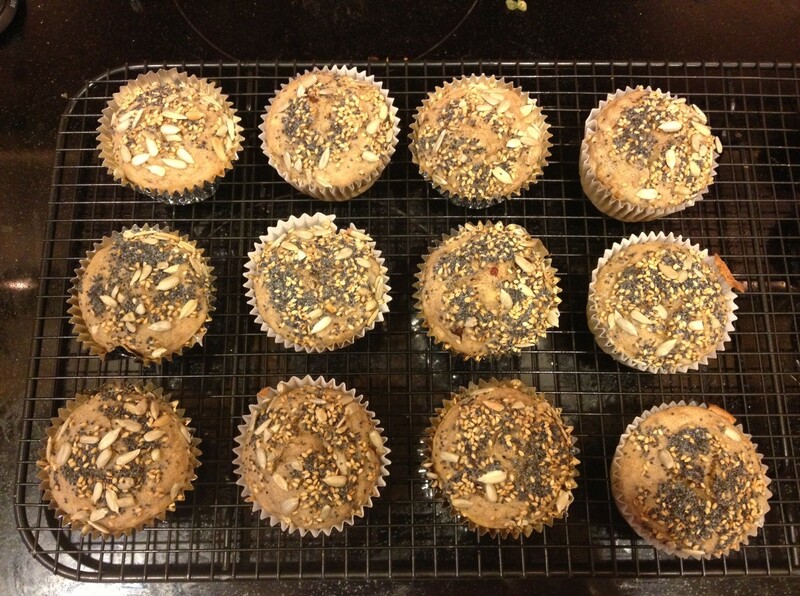 1001 Muffins. There had to be something I could go off in here. And there was…along with 1000 other delicious looking carby recipes. I couldn’t help but wonder which recipes Grammy made from this book, and was saddened to see the book was published in 1998, only one year before she was so abruptly taken from us. It was the least I could do to make a batch of these muffins from her cookbook, in her kitchen, on a day that she should still be with us. 1. Position rack in the center of the oven and preheat to 400 degrees F. Lightly grease or line with paper baking cups 16 standard muffin cups. 2. In a large bowl, blend together the flour, oats, baking powder, baking soda, cinnamon, dates, walnuts, and salt. In a medium bowl, beat the egg, buttermilk, oil, honey, and banana until smooth. Combine the two mixtures, blending until the dry ingredients are just moistened. 3. 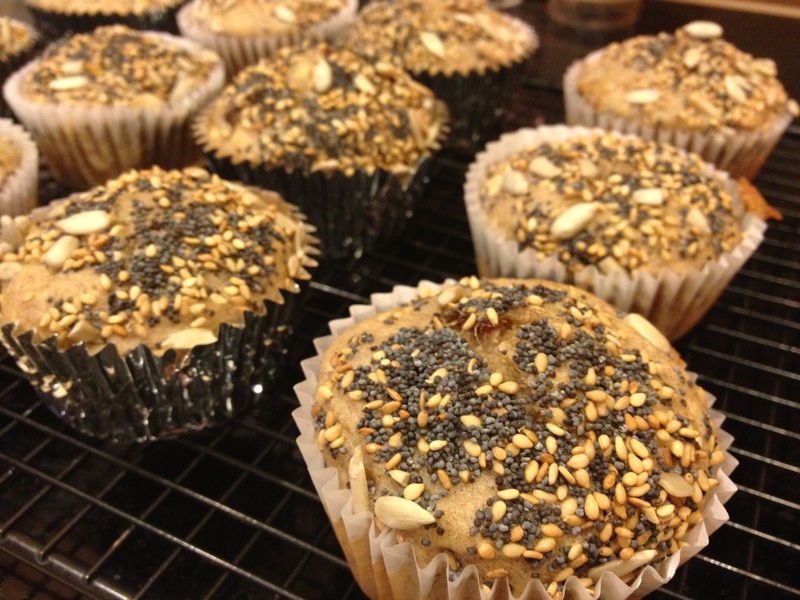 In a small bowl, mix together poppy, sesame, and sunflower seeds. 4. Spoon the batter into the prepared muffins cups, filling each about three quarters full. 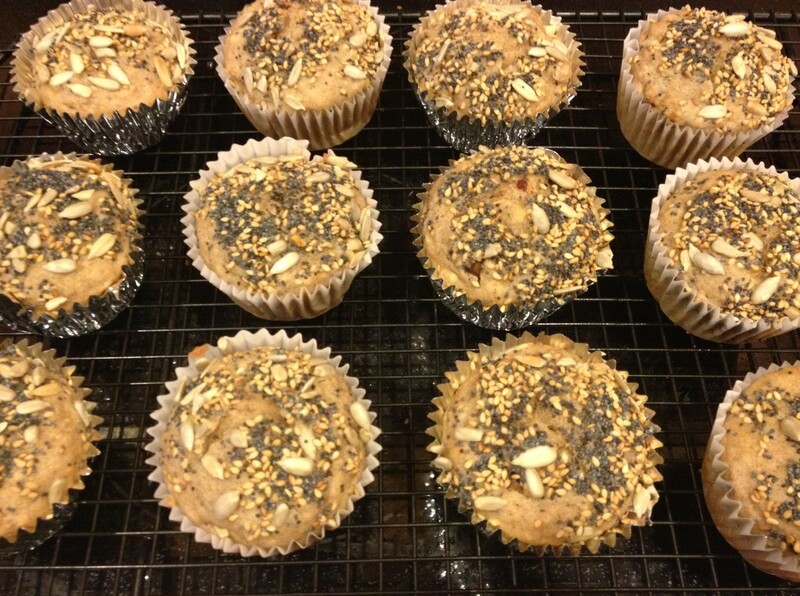 Sprinkle small spoonfuls of the seeds onto the tops of the muffin batter. Bake for 15 to 20 minutes, or until a cake tester or wooden toothpick inserted into the center of a muffin comes out clean. Cool in the pan on a wire rack for 5-7 minutes, Serve warm, or invert onto the rack to cool completely. This is a great post. 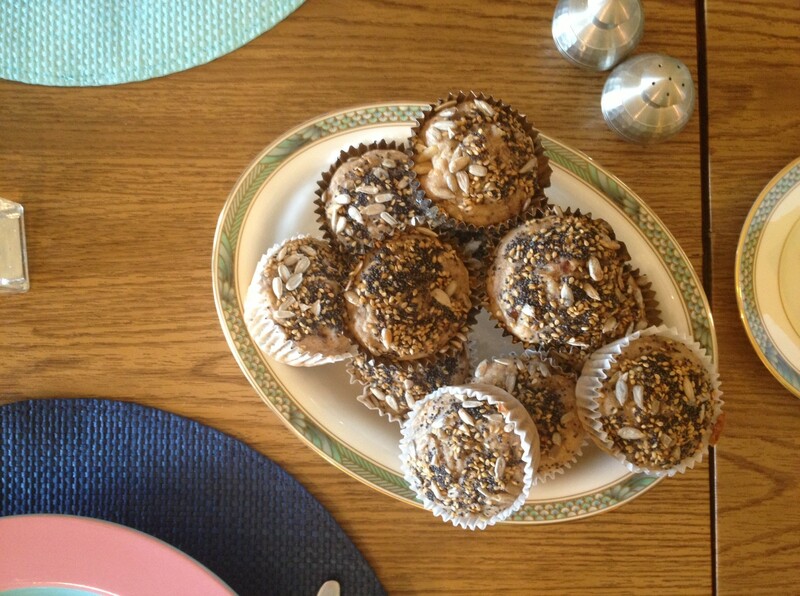 Not only do the muffins look good, the story you tell is even better.